Trula Churchill – Valentine, Neb. It’s been almost 20 years since Trula Churchill was named the WPRA’s Rookie of the Year, and she’s never had as much success as in her past three seasons aboard the horse she calls Worm. She raised the 9-year-old roan gelding, who carries the official name “A Streak Of Rita,” out of her husband’s bulldogging mare. She also trained Worm, who has been a winner since the age of 4. In fact, Churchill’s success has brought plenty of limelight to Worm’s Nebraska-based sire, A Streak Of Fling. 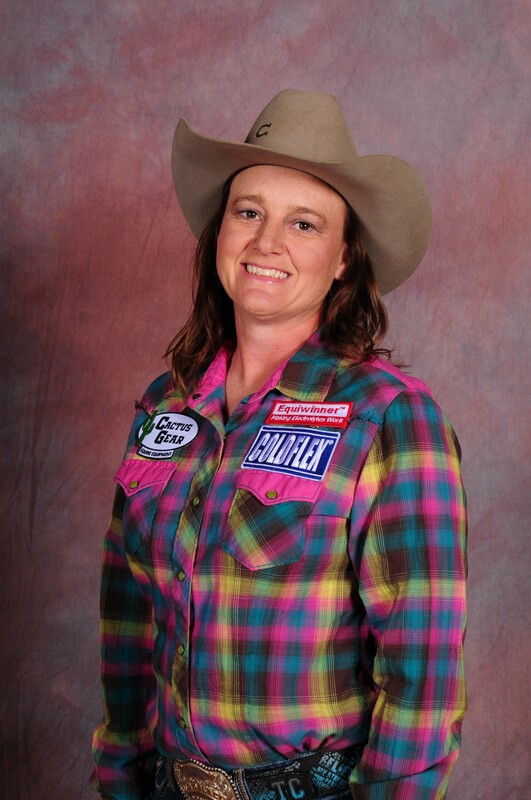 Churchill, 45, is an Oklahoma native who was a mainstay in the Prairie Circuit for years, and worked as a teacher in a two-room school outside Valentine, Neb., until making her first WNFR. Her husband, Linn Churchill, steer wrestled at the 2006 WNFR. Trula is one of just two athletes in rodeo history to have qualified for the WNFR, the Canadian Finals Rodeo, the Indian National Finals Rodeo and the Ram National Circuit Finals Rodeo. She won the Canadian championship in 2011. Churchill has placed in three of 10 rounds in each of her previous trips to Las Vegas.